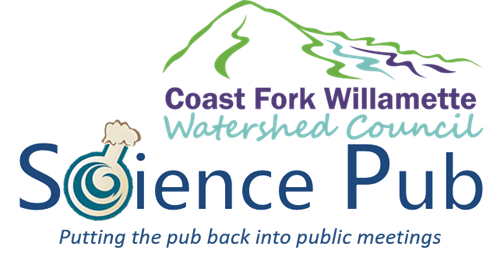 "Stage 0" Floodplain Restoration on the Lower South Fork McKenzie River presented by Jared Weybright, Executive Director of the McKenzie Watershed Council, will be the focus of the February Science Pub. "Stage 0" refers to a relatively new approach to floodplain restoration that seeks to maximize floodplain connection at all flow conditions by removing artificially placed sediments (i.e. berms, historic roadbeds, etc.). This new and exciting project implementation method has been completed in a few locations throughout Oregon. Join us to learn about the benefits of landscape-scale restoration in delicate water systems. The event is free to the public, with a $5 donation suggested.